I can’t remember the last time I attended a circus. In fact, I don’t think I have ever been to a “real” circus in my entire life. Maybe I watched Under the Big Top enough times as a kid and over the years that I thought I had witnessed the real thing. I grew up in a small town in southeastern Wyoming and the nearest Barnum and Bailey gigs were 190 miles away in Denver, Colorado. During our county fair each year, however, there were small versions of circus performances in my early years. I don’t remember any lions or tigers or bears and certainly no elephants. My hometown is more tuned in to the rodeo circuit! 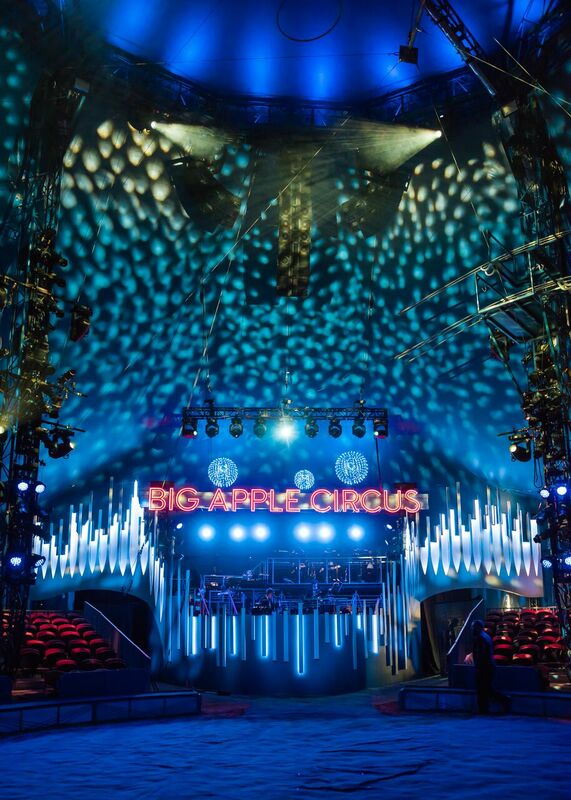 That being said, I am looking forward to seeing The Big Apple Circus here in the Harbor this month. It won’t be quite like the circus’ from “back in the day” since there are no wild animal performances – which I am totally alright with since I personally feel that circus life is no place for those beautiful creatures – but it looks like there will be plenty of acts that we will be “oohing and awing” at during the performances. While I don’t want to get in to all of the sordid history of the circus in general, I think it’s good to know a bit about The Big Apple. 2017 was a tough year for the circus business with Ringling Brothers calling it quits and Big Apple filing for bankruptcy after entertaining audiences for nearly four decades. Coming in to save the day – just like in the movies – were retired doctor, Neil Kahanovitz and a group of like-minded friends. You can read all about Dr. Kahanovitz in the “Personality Profile” in this issue. We found him to be a very interesting local guy who actually went “from the circus to surgery and back”. He literally performed with the circus in his younger years and was the head of the Spinal Surgery Unit at Washington Hospital Center for more than a decade. Thanks to these fine people, the Big Apple Circus is back for “another bite” (I stole that phrase from their marketing people)! The Big Apple isn’t a three-ring circus, it is renowned for its one-ring, intimate and artistic style. 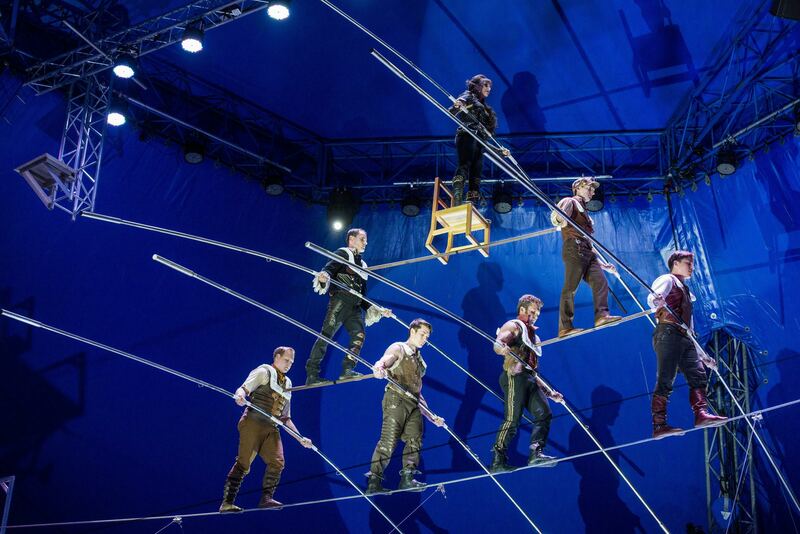 No seat is more than 50 feet from the performers, and they are passionate about revitalizing the circus for modern-day audiences with unique and astounding human feats, innovative design and technology. The 40th anniversary season program features the famous seven-person pyramid on the high wire with Nik Wallenda and The Fabulous Wallendas and the daring quadruple somersault attempted on the trapeze by The Flying Tunizianis – the first time in circus history that both legendary feats are performed under the same big top. The record-setting acts are joined by Dandino & Luciana, a dynamic duo who combine speed, acrobatics and daredevil grace on roller-skates; award-winning contortionist Elayne Kramer; master juggler Gamal Garcia; Jan Damm on the Rola Bola; acclaimed Risley acrobats The Anastasini Brothers (who broke the World Record for Most Flips on November 9, 2017); Ringmaster Ty McFarlan; and circus trainer and presenter Jenny Vidbel, who performs in the ring with 16 horses and ponies, as well as six rescue dogs. 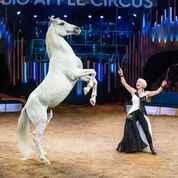 Outside of the ring, the circus continues to honor the essential and iconic characteristics that have set them apart for the past four decades with multiple community outreach programs and a vital no-wild-animals policy. The Circus of the Senses performance on Saturday the 9th and Embracing Autism performance on Sunday the 10th offer special enhanced experiences for audiences with autism, visual and auditory challenges. The special performances include ASL interpretation, assistive listening devices with live audio commentary, pre- and post-show touch therapy experiences, and a Braille program book. Sensory-friendly performances for Autistic audience members will feature lowered light and sound levels, a descriptive picture book showing the different areas and acts involved with the circus, and a “calming center” that can be accessed at any point during the show. I think that having these options for people is very admirable and indicates their desire to include everyone. The 40th anniversary season is directed by Mark Lonergan, artistic director of three-time Drama Desk Award-nominated physical theater company Parallel Exit, with choreography and associate direction by Antoinette DiPietropolo and music direction by Rob Slowik. Tony Award-winning Lighting Designer Jeff Croiter (Peter and the Starcatcher, Something Rotten! ), Scenic Designers Rob Bissinger (Spider-Man: Turn Off The Dark, Legally Blonde – Assoc.) and Anita LaScala (Magic Mike Live) of ARDA Studio, Inc. and Drama Desk-nominated Costume Designer Amy Clark (Heathers: The Musical, Chaplin) come together to create a most vibrant environment to fit the momentous occasion of the circus’s return. I seriously am like a little kid about this event. You know, sort of how I get when it gets close to the holidays and ICE is coming to town at the Gaylord. One wouldn’t believe that I am a 64 year old woman almost eligible for Medicare…….I hope you are as excited as I am. This will be a great event for everyone. It really is a Cinderella story that is for sure. For details on purchasing tickets, see their very happening ad in this section. « Brews, Booze and Bacchus Southern Maryland Style!